Egypt will end visa-free entry for Qatari nationals with some exceptions, the Egyptian Foreign Ministry said on Monday, the latest measure taken against Doha which Cairo and three Gulf governments are boycotting. Saudi Arabia, the UAE, Bahrain and Egypt imposed sanctions on Qatar on June 5, cutting diplomatic and transport ties with the Gulf country, after accusing it of financing militant groups and allying with Iran. Doha denies the accusations. "It does not make sense to keep making exceptions for Qatar and giving it privileges in light of its current positions," Foreign Ministry spokesman Ahmed Abu Zeid said. 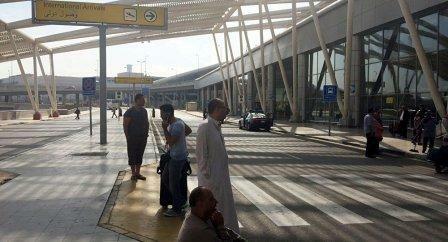 Qatari nationals will now have to apply for a visa in order to enter Egypt. However, Qatari nationals with Egyptian mothers, those married to Egyptians, and Qataris studying in Egypt will be exempt from having to apply for a visa, he added. Sources at Cairo International Airport said the decision would be implemented as of Thursday, July 20, which the Qatari Foreign Ministry later confirmed on Twitter. Foreign workers make up around 1.6 million of Qatar's 2.5 million population, and hundreds of thousands of them are Egyptians, making them one of the biggest foreign contingents in the Gulf country. So far no action has been taken against them. Kuwait has been leading mediation efforts between Qatar and the four Arab states boycotting it. Its top diplomat Sheikh Sabah Al Khalid Al Sabah met Shoukry and President Abdel Fattah Al Sisi in Cairo on Monday. "The foreign minister affirmed to his Kuwaiti counterpart Egypt's commitment to the list of demands presented to the state of Qatar and the continuation of sanctions taken against it," Abu Zeid said in a statement earlier. The insistence comes "in light of what the quartet states see as Qatar's stalling and procrastination, and lack of concern for the concerns of the four states," he said. Turkish President Recep Tayyip Erdogan will this month visit Qatar and Saudi Arabia, his office announced on Tuesday. Turkish Prime Minister Binali Yildirim said Ankara would continue to play a "constructive and active" role to help solve the crisis. Yildirim added Erdogan's visit would be part of this effort. Erdogan is expected to visit Saudi Arabia then Kuwait on July 23 followed by Qatar on July 24, according to private news agency Dogan.